First processing date: August 5th. Remember, if you desire the smaller chickens, you definitely want to come for the first processing. We thank you for your interest in our fresh range fed poultry, the very best you can buy! Hello Folks, another summer has rolled around and we are making plans for our 20018 poultry processing schedule. As always, the chickens will be some smaller on the first date for those who desire smaller ones, and those who are looking for the larger ones should plan for the latter date. 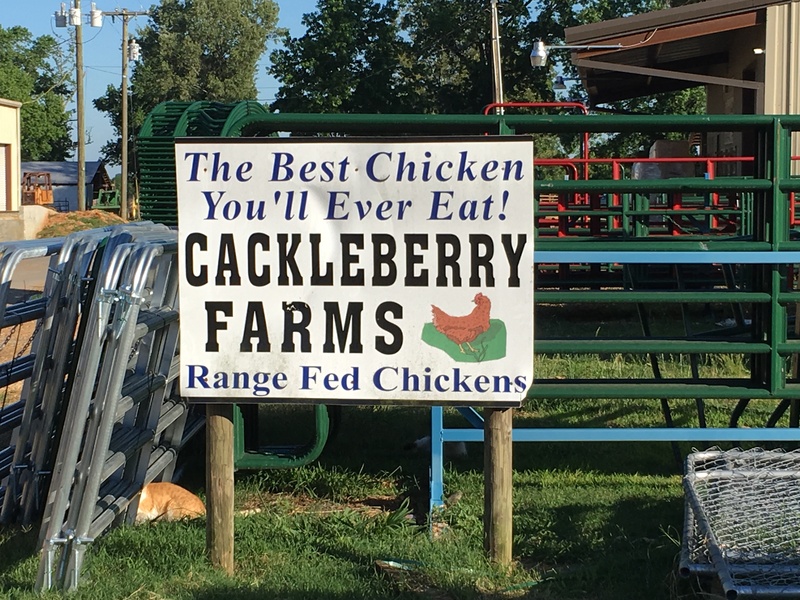 We recommend that you call before coming to pick up your chickens, because there is always a possibility of a last-minute change of schedule or other problems could arise. Our store phone number is 662-369-60602. Thank you very much for your continued interest and patronage. These two dates represent our last poultry processing for 2017. If you desire fresh unfrozen chicken, please come by the farm on the days of processing or the next day following the processing. Thank you for your interest in natural and whole foods. Remember, the extra effort and the possible additional costs in acquiring natural and whole foods will reward you and your family many fold as time keeps on slipping into the future. We all want to be part of that future, healthy and whole. Hello folks, we are, once again, postponing our processing dates one week. The processing date scheduled for July 2, 2017 will be postponed one week for July 9, 2017. Likewise, the processing date scheduled for July 9, 2017, will be postponed for July 16, 2017. We apologize for these changes and hope they will not create a hardship for any of valued customers. We look forward to seeing many of you here on the farm as we move forward into the summer. A note to all of our customers: We are planning to do a batch in the month of August or September, and possibly another batch in October. Details for the dates of these batches have not been determined yet. FIRST BATCH First processing date has been changed from May 28 to June 4, and the second processing has been rescheduled for June 11. The SECOND BATCH has not been changed and is planned as per scheduled. We are hoping this will not create too much confusion for those who had planned to come for the May 28 schedule. We thank you so much for your patronage and your commitment to eating natural and healthy foods. Hello everyone! Another year has rolled around, and we are kicking off the new season with the first poultry processing to take place on the last Sunday of this month, May 28. These will be the smaller birds for those who are looking for birds somewhere around three pounds. The second processing is scheduled for June 4, the first Sunday of June, which will be the larger birds. Processing dates for the second batch of chickens is scheduled for July 2 for the smaller birds, and July 9 for the larger birds. The first two batches are the only ones that have definite dates set so far. We are planning more batches for the season, but definite dates will be set later. We thank you so much for your interest in our range fed poultry, and we hope you will check out our supply of range fed eggs and range fed beef as well. We look forward to seeing you on the farm. Hello once again. Another year has rolled around, and it’s chicken-raising time again! Actually, the first batch is already on the grass and will be ready for processing on the last Sunday of June and the first Sunday of July. This year we are holding the price for the chickens the same as last year, $2.39 if picked up before they are frozen and $2.59 packaged and frozen. We thank you for your continued support and patronage over the years. We believe that the long-term benefits of acquiring fresh quality foods greatly outweighs the extra effort and cost involved. And it is our conviction that the best quality foods that we can acquire are, in the long haul, by far the cheapest foods we can possibly acquire. In reality, folks, eating fresh quality foods is investing in your long-term health and well-being! We will be posting the schedule for all future batches of chickens for this season. We should be able to do this very shortly. Your source for the best tasting and most humanely raised beef and poultry products. Contact us for the latest schedule and check our price list for the latest low prices.